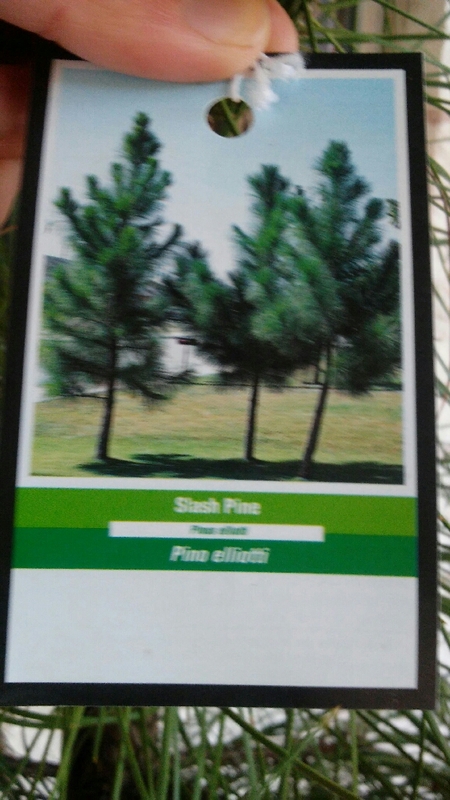 Slash pine tree. 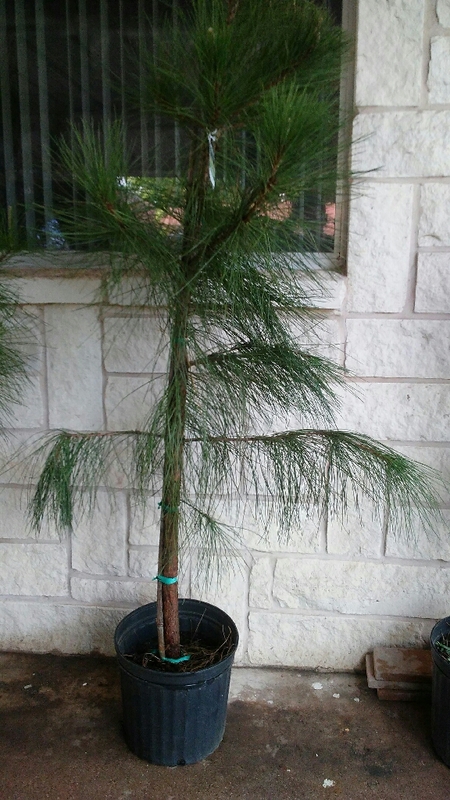 About 8 foot tall now. 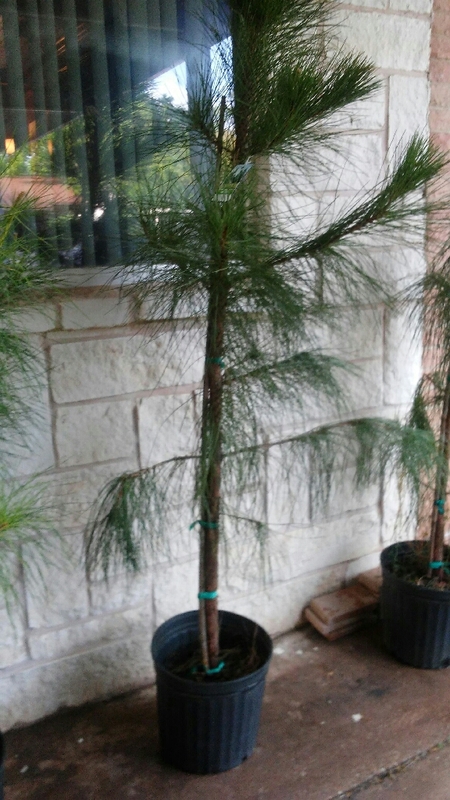 Potted but needs to be planted in front/back yard.